Nikki & Joe are Fun In The Sun Weddings’ newest Newlyweds! 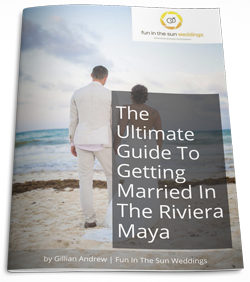 This bride never dreamed of her wedding day growing up, and she was pretty relaxed about getting married on the beach in Mexico. But when her day came, like most brides-to-be, she ended up a bundle of nerves! Nikki and Joe met at a pool party, and the connection was instant. They exchanged numbers, had their first date the following evening, and the rest is history! 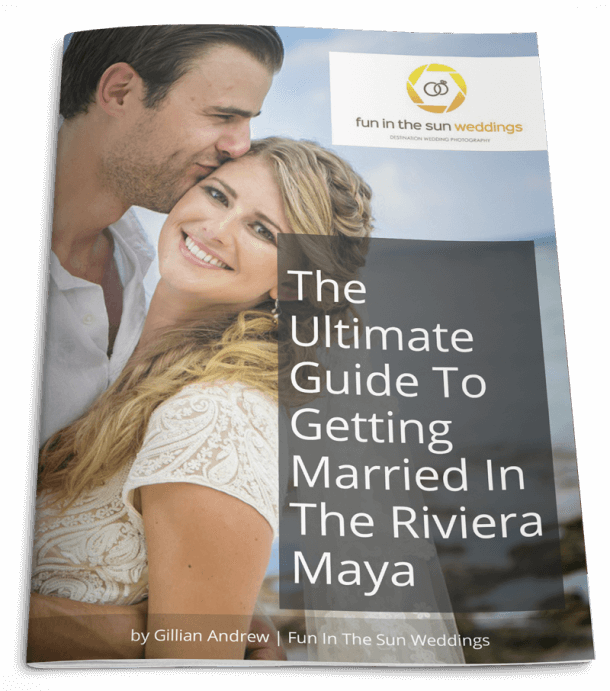 Since Nikki had never given much thought to her own wedding, she worked with the help of her travel agent to choose a great destination wedding resort in Mexico where they could slow down and relax with their guests. 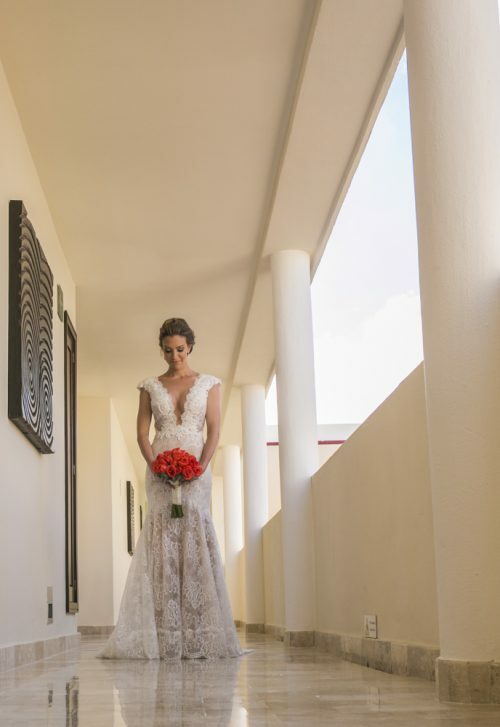 Nikki loved the idea of a tropical wedding on the beach….and that’s how they ended up getting married at the Now Jade Riviera Cancun! Staying relaxed and nonchalant about the whole affair carried Nikki through to her wedding day. She and Joe spent the morning by the pool with their friends and family. However, once her hair and makeup were done, the nerves kicked in. She was thankful to have had our lead photographer, Marc, there to lighten the mood. He made them laugh and really captured those moments together with her Mom and Maid of Honor. Nikki’s favorite moment of the day was turning the corner to her ceremony, and seeing Joe. We both smiled and as I walked toward him I couldn’t have been happier! What great piece of advice does this bride have for everyone planning a beach wedding out there? Relax, enjoy yourself and each other, because nothing else matters. Congratulations Nikki and Joe! Thank you for having us there to share this experience. Working with your relaxed vibe has been such a pleasure, and we wish you all the best things in life as you start this new chapter together. Marc made us laugh and really captured the moments of us together! It helped bring my nerves down!